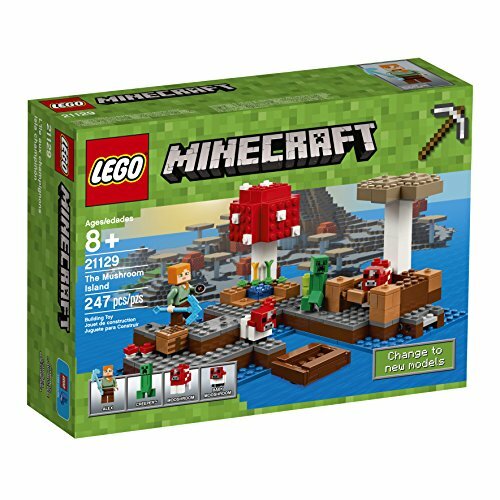 This is a fun Minecraft LEGO set called "The Mushroom Island." The build comes with 247 pieces to build an island with two oversized mushrooms, plus a boat, crafting table, and other features and accessories. Put together a huge red mushroom and a huge brown mushroom on your island. You can also build a animal pen with exploding fence action. This Minecraft LEGO build comes with figures: Alex; Creeper; Mooshroom; and Mooshroom. 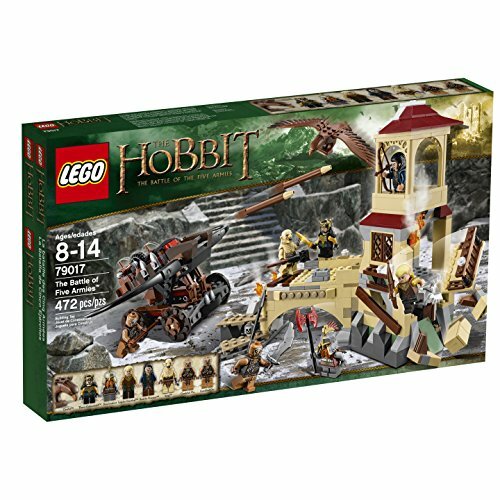 With the creativity and interlocking capability of LEGO bricks, this set of 247 pieces has endless building possibilities, giving users the ability to create new models.